If you are interested in learning more about how to establish a fund and you would like to discuss the process, please contact us at (320) 253-4380 or talk to a member of the PACF Board. The Paynesville Area Community Foundation (PACF) offers a wide variety of services to donors, professional advisors and nonprofits in the Paynesville area. In addition to a general fund to support grantmaking in the area, PACF provides a variety of fund options, from donor directed and donor advised funds to nonprofit agency endowments. The Paynesville Area Community Foundation strives to be known for making impactful grants, fostering a spirit of innovation and collaboration and contributing to a real sense of community pride for those with ties to Paynesville. The Paynesville area community will be a vibrant, progressive community with opportunities for all generations to come. The Paynesville Area Community Foundation hosts an annual gala to raise support for a different nonprofit each year. The PACF 2017 Gala will be held on September 29, 2018 at the Roadside Tavern in Roscoe, MN. For information about the event, contact Lou Louis at (320) 243-4419. Unrestricted Funds: Allow the local PACF board to direct your grant to meet the needs of the community. Learn more about how you can establish a fund at PACF by contacting us at (320) 253-4380, by talking to a member of the PACF board or emailing PACF@communitygiving.org. Apply For Paynesville Area Community Foundation . . . Through the Paynesville Area Community Foundation, we currently administer two scholarship funds for area students. Through CommunityGiving, you have access to these and other scholarships directed at central Minnesota students, both high school and college level! View scholarship opportunities here; applications open December 1. The Paynesville Area Community Foundation started out as the Paynesville Endowment Commission, which was part of the Paynesville city government. The PEC was set up to provide a way for individuals, families and businesses to bequeath funds for the betterment of the City of Paynesville. Some local leaders, including then Mayor and current PACF board member Joe Voss, contributed some seed money to the fund. The commission printed pamphlets with what they believed was a comprehensive invitation for bequests, and placed them in the offices of attorneys and estate planners around the area, as well as the city hall lobby, library, banks and many other public places. In the early 2000s, the City of Paynesville decided the function of handling endowments should be accomplished by forming a stand alone non profit corporation, the Paynesville Area Charitable Trust Fund (which now also legally operates under the name Paynesville Area Community Foundation). With no official ties to the city, they felt the nonprofit group could appeal to donors that would wish their bequests go to areas other than city functions, while still offering city parks, trails and other city functions as options. Councilman and former PACF board member Dennis Zimmerman formed a group to explore how the transition would take place, and as that group added local professionals, business leaders, and concerned citizens, it evolved into the board of the current Paynesville Area Community Foundation 501(c)(3). Recognizing that they needed a partner with investment management, charitable giving, and other technical expertise, the nonprofit board began a conversation with the Central Minnesota Community Foundation (CMCF) upon the recommendation of Paynesville business owners and CMCF fund advisors Leo and Luella Louis. 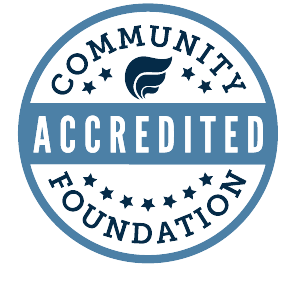 After exploring their options, the PACF board decided that partnering with CMCF would maximize their effectiveness, which they did in May 2008.